U.S. Court of Claims, Washington, D.C.
Judge James Davis served as a trial judge at the U.S. Court of Claims in Washington, D.C.; clerked for the late Hon. Giles S. Rich at the former U.S. Court of Customs and Patent Appeals; and was a patent examiner in the U.S. Patent and Trademark Office. He was a partner in the Washington, D.C. office of Howrey & Simon from 1972 to 2005. In 2005, he retired from Howrey and started a solo practice in consulting and ADR work. Prior to joining Howrey, he practiced law in Chicago and Washington, D.C.
Judge James Davis was the founder and chairman of Howrey’s Intellectual Property practice group and has litigated cases nationwide in the Federal District courts, the Courts of Appeals, the International Trade Commission and state courts. His litigation clients included Texas Instruments Incorporated, The Mead Corporation, Litton Industries, Baxter International, Toyota, Nissan, Standard Register Company and the National Geographic Society, for whom he won multi-million dollar judgments and successfully defended infringement charges. He has also been active in alternate dispute resolution matters, serving as arbitrator, mediator and special master in both domestic and international disputes. 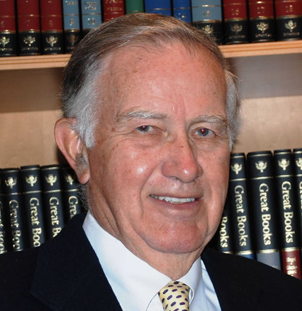 He was an adjunct professor of law at Georgetown University Law School from 1967 to 1968 and 1995 to 2002, teaching intellectual property/antitrust law. Judge James Davis received a BS degree in chemical engineering from the University of Illinois (Urbana) in 1957 and a JD degree from Georgetown University in 1963. In addition to his litigation practice, he has written extensively in the patent and related fields, for the American Bar Association and others. He co-chaired two judicial conferences of the Court of Appeals for the Federal Circuit in the 1990s. He has extensive experience in appellate practice before the Court of Appeals for the Federal Circuit. Since retirement from Howrey in 2005, Mr. Davis has arbitrated or mediated more than 30 litigations involving, among others, Abbott Laboratories, Alcatel, Nextel Communications, Texas Instruments Incorporated, JP Morgan Chase Bank, Bristol Myers Squibb Co., Siemens Corporation, France Telecom, Qualcomm, Baxter Healthcare Corp, Aventis Pharma S.A., Symbol Technologies, Inc., Osram GmbH, Sanofi-Aventis US, Novo Nordisk Inc. and Boston Scientific Corp. He has served as a special master in litigations involving Eaton Corporation, Centrus International, Inc., Teva Pharmaceutical Industries, and international insurance companies (Swiss Re International , British AIG, Assicurazioni Generali SpA /UK and Starr Syndicate Limited).